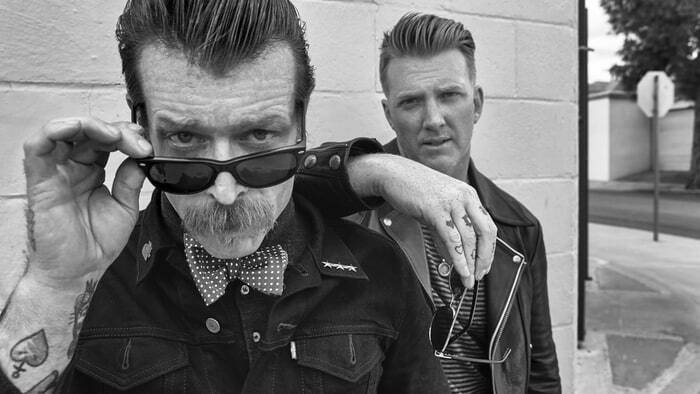 Eagles Of Death Metal has teamed up with director Colin Hanks for the creation of a documentary regarding the terrorist attack at Bataclan last November that cost the lives of 89 attendees. The documentary, entitled "Eagles Of Death Metal: Nos Amis (Our Friends)", follows the band as they recount what they witnessed the night of the tragic event, as well as the deep friendship between the band members and the mutual respect with their fans. The film was realized by Live Nation's production film unit, Live Nation Productions (their first film to finance and produce) and Company Name. It actually came in a rush, as the band would be returning to Paris in February for the "Nos Amis Tour", and the production team figured the first show back would most likely be "a cinematic moment"
According to the director, the film will be divided in three parts; an introduction to the band, the Bataclan attack and the post-attack tour. The film will air in February 2017 exclusively on HBO.